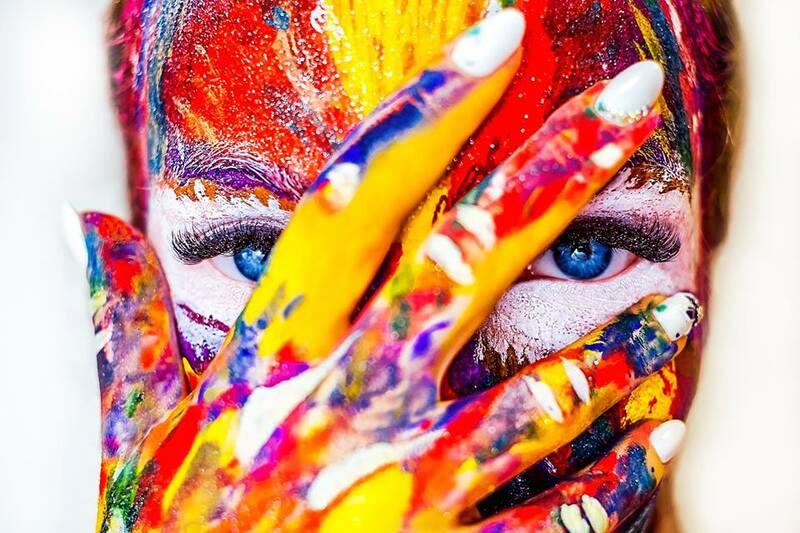 Commercial Printing, Offset Printing, Banner Printing, Fabric Printing, Screen Printing, Graphic Designing, Brochure Designing, Logo Designing, Branding, Poster Designing & Printing, Flyer Designing & Printing, Customized T -Shirt Printing, Customized Mug Printing, Customized Calendar Printing, Customized Greeting Card Printing. 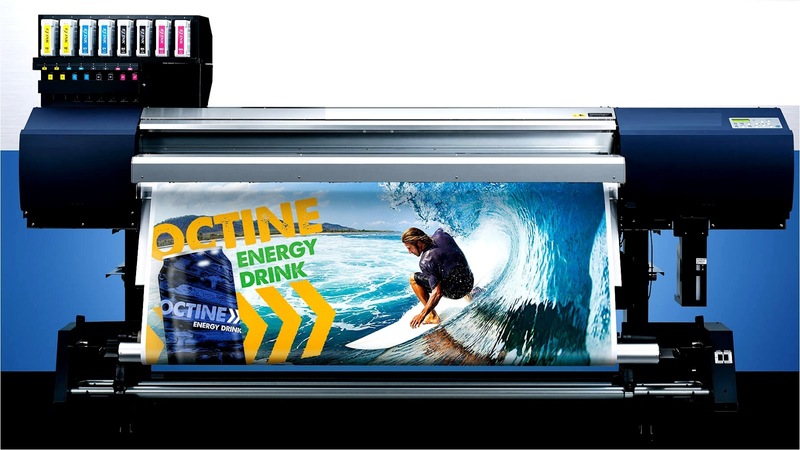 Kapricorn Prints Digital Printers in Bangalore, India – Quality Digital Printers, We Provide Affordable & Optimal Total Printing Solutions For Your Requirements. For Order Call Us 99011 43583. We Print Custom Business Cards / Visiting Card, 2019 Calendar | Photo Calendar | Desk Calendar, Personalized Calendar 2019 . Our Services are Digital Printing, Commercial Printing, Offset Printing, Banner Printing, Fabric Printing, Screen Printing, Graphic Designing, Brochure Designing, Logo Designing, Branding, Poster Designing & Printing, Flyer Designing & Printing, Customized T -Shirt Printing, Customized Mug Printing, Customized Calendar Printing, Customized Greeting Card Printing. To Know More Visit Our Website or Call Us 99011 43583. We Deliver Your Order Anywhere in Bangalore. Customized T-Shirt (Include T-Shirt) & Mug (Include Mug) Rs . 99 Only No Hidden Charges. 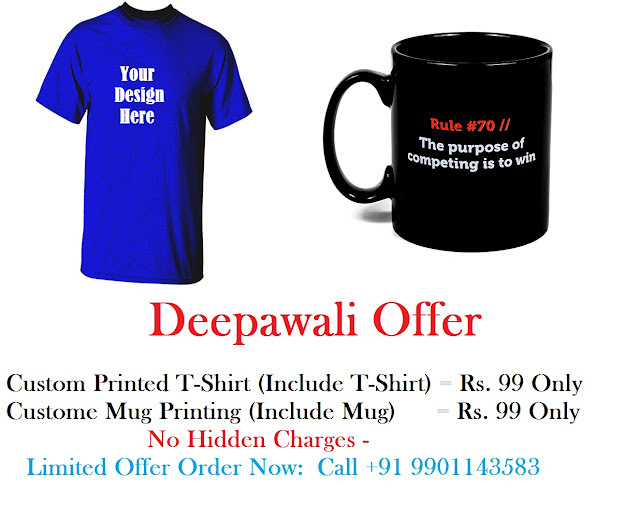 Deepawali Offer Customized T-Shirt (Include T-Shirt) & Mug (Include Mug) Rs .99 Only No Hidden Charges. Order Now 99011 43583. 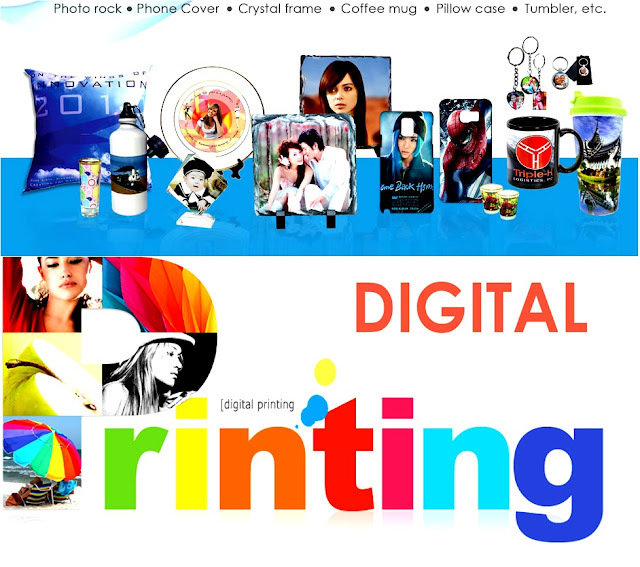 Kapricorn Prints Giving Good Quality Services And Served Thousands Of Regular Customers. Kapricorn Prints #printing #flyers #magazines #businesscards #shirts #mugs #digitalprinting #brochures #diary #calendars #postcards #letterhead #vouchers #envelopes #signs #forms #stone #bangalore #business #gifts Digital Printing Press Provides Services Like Envelopes, Letterheads, Postcards, Flyers, Brochures, Business Forms Printing, Business Card Printing, Brochure Printing, Flyers, Posters, Invitation Card Printing, Gift Vouchers, Magazines, Packaging Boxes, Gift Box, Calendar, Diaries, Sign Board, T-Shirt Printing, Mug Printing, Stone Printing. · Wide Range Of High Quality Business Printing Stationery, Envelopes, Letterheads, Badges, ID Cards & Accessories, Bill Books / Invoices, Flyers / Leaflets, Posters, Certificates, Brochures , Document Printing, Stickers, Tent Cards, Standard Business Card, Custom Corporate Personalized Calendar, Offset Printing, Flex Printing. 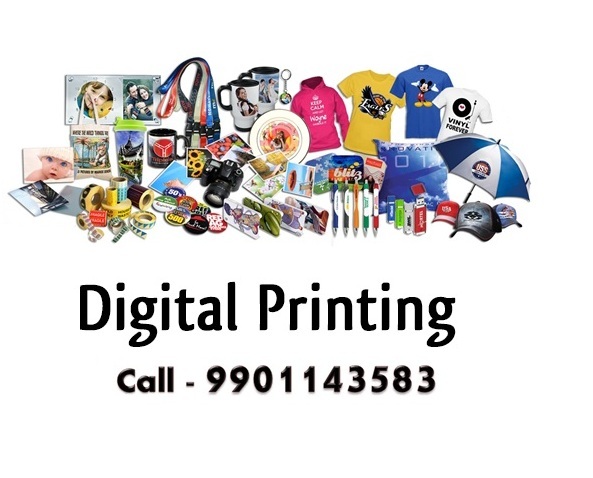 · Digital Printing on T Shirt Printing In Bangalore : Design Your Personalized T-Shirts With Custom Text, Designs Or Logos. Call Us Now (+91) 9902199117 / (+91) 9901143583 Now Quality T-Shirt Printing Custom T- Shirts Is A Cost Effective Way To Publicize Your Company , Business, Charity, Club, Group, Band, Event, Occasion, Or For A Gift! We Print Polo T-Shirt, Henley T-Shirt, V-Neck T-Shirt, Striped T-Shirt, Graphic T-Shirt, Pocket T-Shirt, Solid/Plain T-Shirt, Hooded T-Shirt, Crew Neck T-Shirt, U Neck/Scoop Neck T-Shirt, Birthday T-Shirt, Bridal Tees, Baby Shower Tees, Anniversary T-Shirts, Family Reunion, Birthday Party, Wedding Announcement Party, Bachelorette Party Or A Going Away Party, Bride-Brides-Team-Tees, Youth-Spider-Birthday-Tee, Birthday-Girl-Tee, Think-Pink-Tee, Superwoman-Cancer-Tee, Zodiac Tee, Birthday-Squad-Birthday-Girl-Tee, Said-Yes-Tee, Mr-Mrs-Tee, Hubby-Wifey-Tees, Wifey Tees, Straight-Outta-Single-Tee, Party T-Shirts, Birthday Tee, Anniversary, Family Reunion Or Some Other Momentous Occasion, Special Event We'll Print And Ship Your Shirts To You COD. We Print Everything You Need - Design Your Own Custom T-Shirt. Custom T-Shirt Printing -- Personalized Printed T-Shirts -- 100%Satisfaction. · KapricornPrints Offers You A Wide Range Of VISITING CARD / BUSINESS CARD PRINTING And Finishing Options. The Business Cards Can Be Printed Either On Digital Printing Or On Offset Printing. In Digital Printing Option Business Card Can Be Delivered Within 30 Minutes - 50 Minutes. · Brochures Printing, Print Shop, JP Nagar, Printers In Bangalore, Digital Printers In Bangalore, Printing Services Bangalore, Book Printers In Bangalore, Business Card Printing, Visiting Card, T-shirt, ID Cards Printing. 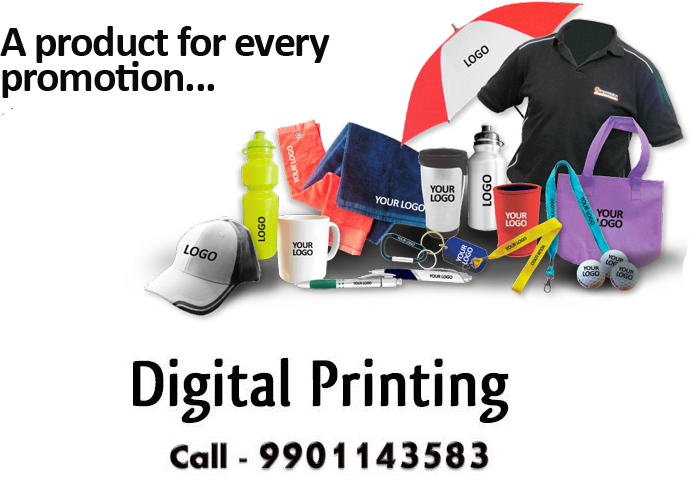 · Envelopes, Letterheads, Badges, Bill Books / Invoices, Flyers / Leaflets, Posters, Certificates, Mug Printing ( Photo Mug Printing In Bangalore, Coffee Mug Printing In Bangalore, Magic Mug Printing In Bangalore. · Corporate Gifts, Document Printing, Stickers, Tent Cards, Poster, Menu Card, Business Stationery, Banner, Invitation Cards, Wedding Cards, Pamphlet, Calendar, Mug, Banner/Flex, Standees, Sun Boards, Standee PP Board , Cut Out Standee Display , Standee Scrolled , Standee Display Design ,Indoor Printing , Screen & Cloth Banner Printing , 4 Color Screen Print, Sun Board, , Flex Gates & Vinyl Printing. · Flex Mounting On Wooden Frame , TEMPO & BUS VINYL , Exhibition Works , Standees & Sun Board Cutouts , Digital Flex Printing , Hoarding Flex , Flex Banner, Posters And Art Prints, Value Framing, Canvas, Frame Art, Gallery Wrap, Frames, Mugs, Outdoor Displays, Indoor Displays, Pop Up A Frame, Arc Banners, 2D Prism Banners, X Banners. · Standee, Hanging Banner, Commercial Printing , Print Brochures , Flyers , Catalogues , Invitations , Company Stationery , Presentation Folders , Annual Reports , Security , OB Books , Entry Control , Date Entry , Permit Books , Schools & Training , Diaries , Teacher's & Learners Guides , Workbooks , Yearbooks , Reports , Revues , Certificates , Exam Papers And Much More.